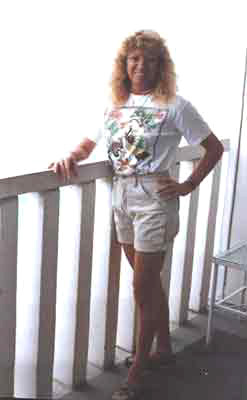 Steffi is single and lives in Fort Lauderdale, Florida. Her idea of fun is to crew on racing sailboats! 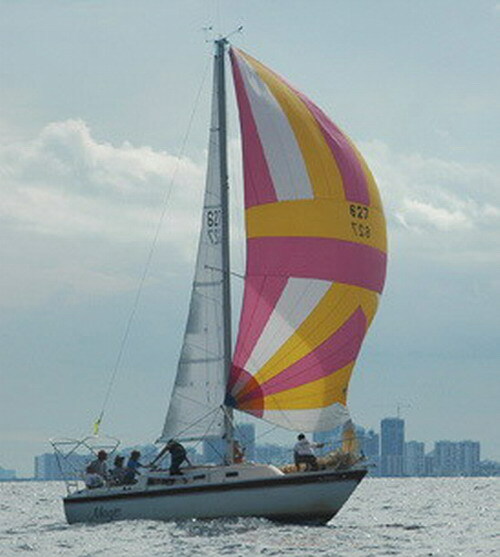 She has been sailing since about 1987 and started racing in 1990. She has since done several Key West Race Weeks, SORC regattas, Block Island Race Weeks, Annapolis Race Weeks, a Kenwood Cup and the first Crystal Cup Regatta as well as a Newport/Bermuda race. 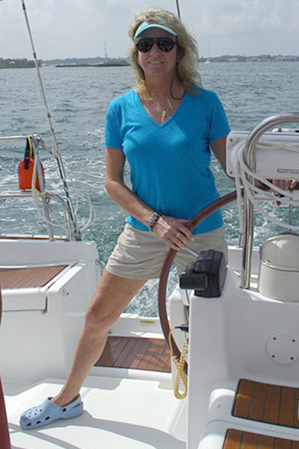 She is a member of Gulfstream Sailing Club and the Hillsboro Inlet Sailing Club and the Royal British Virgin Islands Yacht Club. 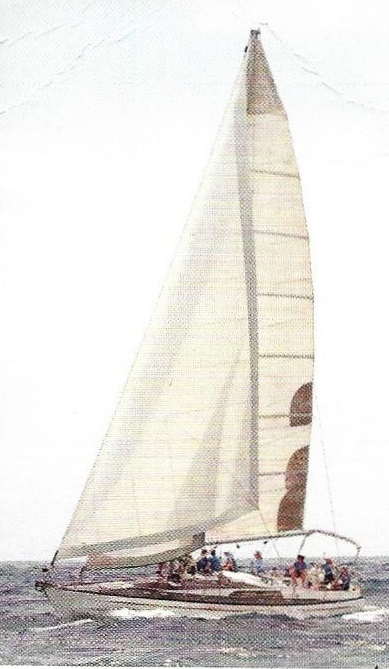 She raced on a J35 called Regardless for nearly 5 years until the owner retired her from racing, then was on a Swan 40 called Sazerac for a couple of years until she was sold and then raced coastal and offshore races on an Oyster 48 called Bandana and close to shore buoys races on a Cal 27 called Magic. Both of those are also now sold, so currently on a Kaufman 47 called Imagine. If you are looking for crew... she may be available to sail with you too, either racing or cruising or on deliveries. .be sure to offer her a Mt. Gay and grapefruit juice!